Meyer Schapiro (1904-1996) was University Professor Emeritus at Columbia University, where he was a student and teacher for over fifty years. He was one of art history's most accomplished scholars in the fields of early Christian, medieval, and modern art, and the theaory of art. Among the many honors accorded him were the Charles Eliot Norton Professorship at Harvard University (1966) and the Slade Professorship for Art History at Oxford University (1968). 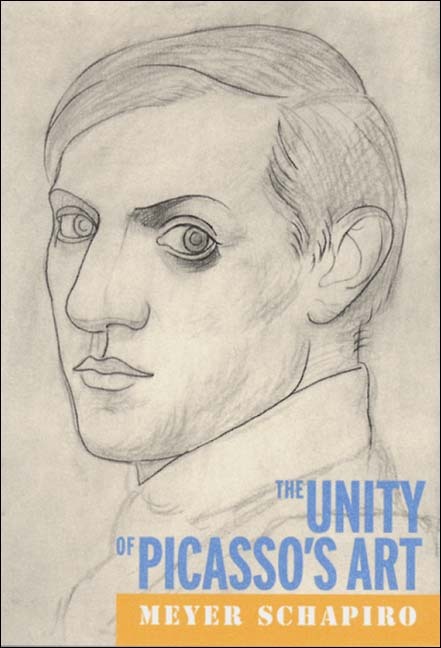 This volume presents three of Meyer Schapiro’s finest essays on Pablo Picasso (1881-1973). Given that we esteem artists whose work epitomizes particular styles, how can we likewise value Picasso, an artist who demonstrates a wide range of artistic styles? In his first essay, “The Unity of Picasso's Art,” Schapiro dismantles this apparent paradox by finding unity through hidden associations among seemingly disparate works and unsuspected ties to Picasso's personal experiences. In “Einstein and Cubism: Science and Art,” Schapiro investigates potential connections between the two most important radical innovations in science and art of the early twentieth century: Einstein’s 1905 Special Theory of Relativity and Braque and Picasso’s Cubism at the end of the same decade. Schapiro uses the assumed relationship between the two to analyze the classic themes of space, time, and movement in art, celebrating the innovations of both Relativity and Cubism as models of the searching, questioning mind, in short, of freedom of thought. In the final essay, Schapiro shows that Guernica, although the greatest political work of art of the twentieth century, nevertheless embodied many of Picasso’s artistic and personal obsessions. This book offers comprehensive analysis of the twentieth century’s most prolific artist--Pablo Picasso. It will appeal to all those who have followed Picasso’s career and to those intrigued by the multi-faceted connections between art and social changes.